When studying hospitality, a pupil should frequently visit websites that analyze news that may be related to the hospitality industry, describe strategies that can improve hospitality, list available positions for students and offer many reviews of businesses in the industry. Additionally, the student can evaluate trends that may affect the earnings of businesses and predictive analyses that indicate the overall demand for hospitality services in numerous geographic regions. This site analyzes new hotels, innovative techniques that can improve hospitality and businesses that provide beverages, and the website offers information about companies that sell products that are related to hospitality. Moreover, the business offers updates about companies that specialize in marketing services for clients in the hospitality industry. Hospitalitynet.org also features posts that help businesses to increase profits and to reduce yearly expenses. The site sometimes offers lists of factors that could impact yearly income and detailed evaluations of new technology that may boost the number of people who choose a certain hotel, the amount of customers who refer friends to the business and the number of positive reviews that a motel receives. Hotelnewsresource.com consistently provides updates about hotels that are being built, new designs for multiple structures and the market values of hotels in various regions. Some of the site’s posts evaluate services and amenities that especially popular motels provide, and certain pages contain content that describes new technology that may improve each guest’s experience. The site features stories that analyze awards that hotels received and conferences that are managed by enterprises that own hotels. The website also provides political news that may affect the number of people who travel to certain locations and impact the price of lodging in particular regions. When using this site, a visitor can easily rent rooms in homes, and the site lets guests determine the availability of rooms, make reservations and analyze each location’s amenities. While visiting the website, students may check out detailed reviews of certain houses and types of lodging, and consequently, pupils can determine the desires of customers who are searching for hotels and factors that may increase the demand for specific lodging. Airbnb.com offers tips that help businesses to improve cleanliness, augment the number of services that a company offers, enhance the accuracy of listings and rapidly update a room’s availability. This website allows businesses to post descriptions of open positions that are related to hospitality, and the site currently contains more than 28,300 listings. A student can determine the tasks that managers commonly complete and the qualifications that many positions require. A pupil may create a profile that describes the student’s skills, educational background, experience and the type of position that the individual desires. The site also features extensive profiles of many businesses that specialize in hospitality, and some of these include Marriott International Inc., Ambridge Hospitality, Vindicare Management, Widewaters Hotels, Woodspring Suites and Hyatt Hotels Corporation. 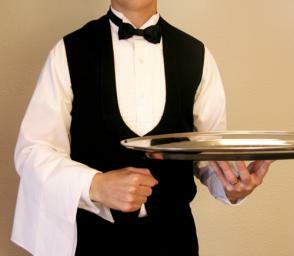 Hotelresource.com features listings for positions that are associated with hospitality, and students can determine the average salary of many experts and the demand for managers in numerous regions. The website also provides a directory with listings of companies that provide management services, products for businesses that specialize in hospitality and marketing services, and the site offers an extensive list of popular restaurant chains. The website lets guests evaluate statistical trends that are related to hospitality and economic news that could impact the number of individuals who travel to certain regions. Visitors may also opt to receive daily emails that contain news. Moreover, a student can create an account in order to send messages to other users, develop a detailed profile and evaluate hotels that are for sale. These websites can allow a student to create reports about hospitality, complete projects, determine the desires of customers and earn higher grades. The sites also help pupils to analyze the demand for hospitality in particular locations and the average cost of nightly lodging in each area. Furthermore, some of these sites will give a pupil the ability to easily find open positions after the student graduates.